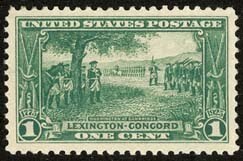 Today is the 240th Anniversary of the Battle of Lexington and Concord, considered to be the first battle of the American Revolutionary War. This was the culmination of Paul Reveres' "Midnight Ride" captured so eloquently by Henry Wadsworth Longfellow in his epic poem. When I was in fourth grade we had to memorize this lengthy poem. I still know some, if not most, of it by heart. I will reprint it here for those who have never had the pleasure of reading it. But first, as I often say, a little background. By the spring of 1775 the colonies were seething with resentment and anger at the British for a series of wrongs incurred over the course of a decade. These wrongs included "taxation without representation" and the quartering of soldiers in private residences. The Stamp Act and the tea tax were already behind us on this April morning. The midnight ride that had awakened the countryside was the result of a new transgression on the part of the British and General Gage, who was then the military Governor of Massachusetts. 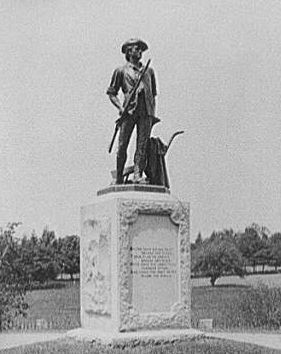 Sam Adams and a few other of the Revolution's leaders were hidden in the countryside around Boston, most near Lexington and Concord. It was there that they kept a supply of guns and ammunition. General Gage was under orders to take these men prisoner and destroy their supplies. Benjamin Church and Joseph Warren were both still in Boston with Paul Revere as their chief messenger. Revere noticed that the British were making ready several small craft for crossing the Charles River to Cambridge. But they were never sure if the British were going to use the land route instead. So they arranged their signals, just as stated in Longworths' poem. At 10 PM on the night of April 18th, 1775 Joseph Warren decided that warning needed to be sent to Sam Adams and so he dispatched Paul Revere. They had arranged the lantern signals of "One if by land, two if by sea" to be shown from the tower of the Old North Church. Revere would cross by water as insurance against William Dawes,who would take the land route, being captured on the way to Concord. Using the petticoats of the boatman's girlfreind to muffle the oars, Revere set out to cross the Charles River. Arriving in Charlestown he began his ride with a narrow escape from 2 British soldiers. Due to this event Revere was forced to use an alternate route to the North, which lengthened his trip by several miles and more than a few precious minutes. Arriving in Lexington he found Sam Adams and John Hancock. He was then joined by Dawes and Dr. Samuel Prescott, a resident of Concord. 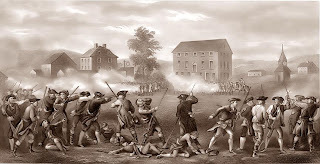 They left quickly, but before traversing the 5 miles to Concord they encountered a British roadblock, which they broke through and then split up. Dawes was thrown from his horse and taken prisoner. Revere was also taken prisoner and under interrogation gave false and misleading information to his captors as to the number of militiamen awaiting the Redcoats at the bridge. Dr. Prescott, with his keen knowledge of the wooded country between Lexington and Concord, was the only rider to make it. His warning enabled the Militia to arm and ready themselves for the arrival of the British that morning. 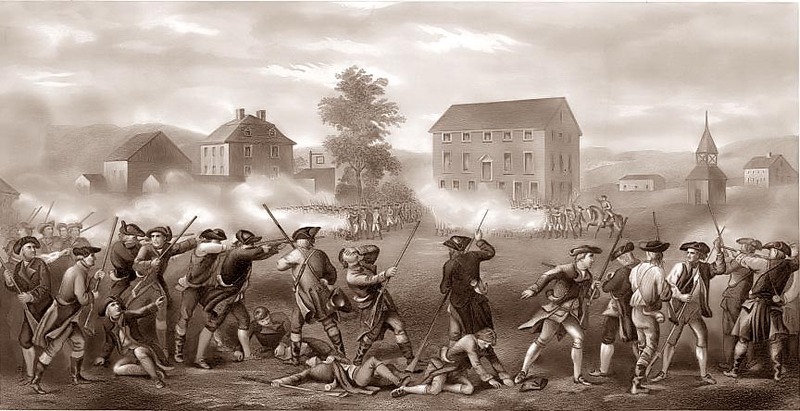 Revere, meanwhile, was riding with the British back to Lexington, when he heard the church bells and gunshots that gave proof to his assertation that local militia were waiting the arrival of the British. This convinced the British to turn Revere loose, although they did give him a tired and slow horse as a precaution that he not reach Lexington too quickly. Revere joined Hancock and Adams to retreat into the countryside. 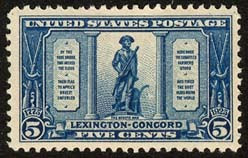 Only the fact that Hancock had left some valuable papers at the tavern in Lexington caused Revere to return there. Upon retrieving these papers, Revere rode out of town past the assembling militia. As he rode on through the countryside he heard the shots and looking back, saw the smoke from the "Shot heard 'round the World." In April of 1860 Henry Wadsworth Longfellow climbed the tower of the Old North Church and was inspired to write his simplified version of the nights' events. It was first published in The Atlantic Monthly in January of 1861. It has since acquired legendary stature and has served as the inspiration for millions of Americans to learn more about the events of that night. I reprint it here with great pleasure and as a tribute to those men who gathered at Lexington that morning to begin the labor pains that ultimately gave birth to our Nation. The following is an eyewitness account of that day by 23 year Sylvanus Wood, who wrote the following in 1858. It was sworn before a Notary. Just at this time, Captain Parker ordered every man to take care of himself. The company immediately dispersed; and while the company was dispersing and leaping over the wall, the second platoon of the British fired and killed some of our men. There was not a gun fired by anv of Captain Parker's company, within my knowledge. I was so situated that I must have known it, had any thing of the kind taken place before a total dispersion of our company. 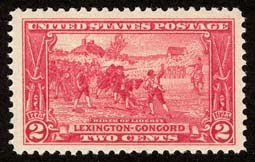 I have been intimately acquainted with the inhabitants of Lexington, and particularly with those of Captain Parker's company, and, with one exception, I have never heard any of them say or pretend that there was any firing at the British from Parker's company, or any individual in it until within a year or two. One member of the company told me, many years since, that, after Parker's company had dispersed, and he was at some distance, he gave them 'the guts of his gun.'"